Agriculture in the Pacific: Introduction! Hello to all my fellow followers. Firstly i will have to introduce myself so that we can have a fair idea or better perspective of what i talk about on here. Well my name is Elenoa Salele and am originally from Kadavu (havent been to my island, hoping to do so soon) in the Fiji Islands. 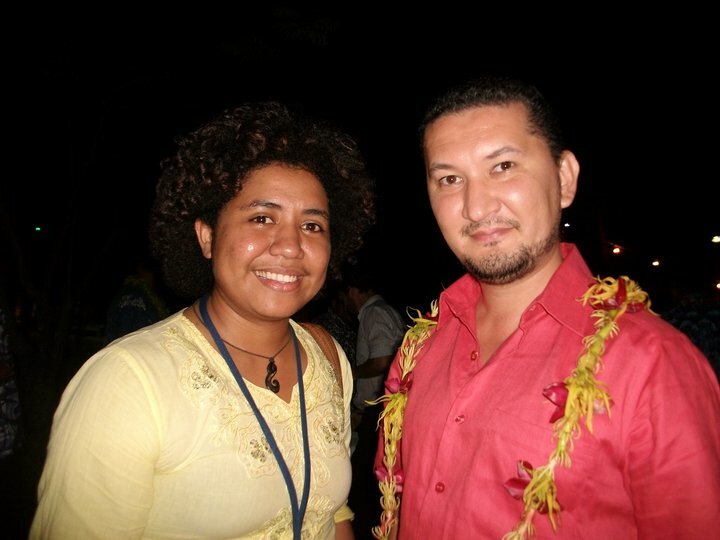 I attended primary and secondary school in Fiji and am a graduate from the University of the South Pacific (U.S.P) from 2008 - 2010, Alafua Campus, Samoa with a Bachelor of Agriculture. After i graduated in 2010 from U.S.P i was offered an internship at the United Nations Development Programme (UNDP), Samoa in 2011 and now i'am currently working at the Community Education Training Centre (CETC), under the Secretariat of the Pacific Community (SPC). I'am so blessed with having been given the opportunities to serve at such prestigious organisations. I can say that God has hes own plans for us as i have witnessed this. There were other plans that i had set out to do but everything doesnt work in our way. God has better plans for us coz he knows best. Yes?! Yes he does! So its getting the experience that is a BONUS to us all and with these experience i would know where i stand. Okay so about my blog name: "Finding ME in the Agriculture World". As you can see, i have a degree in Agriculture and you maybe asking yourselves why i havent been involved in Agriculture "hands on" ever since i graduated! I have actually! During my time at UNDP, i got to work with Agriculture consultants/specialist of other countries, got to meet & interview CEO's, ACEO's, Head of Schools i.e Ministry of Agriculture & Fisheries & U.S.P etc etc and i have learnt alot from them. Now at CETC i'am fortunate to have met and work with Agricultural & Small Business consultants from around the pacific region. So basically what im trying to find out here is where "I STAND", "WHERE IM HEADING" & of course "WHERE WILL I END UP" with this degree of mine!! I have always wondered if i'am ever going to be involved in it, but do keep in mind that this is just the begining of my journey and it will be a very exciting & interesting one. I bet we all have once in our lives asked ourselves these questions. So bear with me through my journey of trying to find myself in the Agriculture world!! Lets see where the world and my experience will take me. Enjoy the ride, everyone! All the best girl. I know agriculture is our life and hopefully others would know too! Thanks Miri. Yes its time we push forward with this topic and let our youths (especially) to know and learn about the importance of Agriculture. Recently attended a Regional Symposium on Promotion of Underutilized Indigenous Food Resources in the Asia and the Pacific, I have to acknowledge, as youths we have to appreciate what our ancestors have been practicing for years now. If your an Islander, you will know what I am talking about. Let me put this way, our Pacific Economy has become case studies - how did the Pacfic Island Countries (PICs) managed to absorb the impacts of the recent Global Economic crisis? Bascically, here is what we did, as soon as the price of food items increase we turn to our indigenous food resources - taro, yam & breadfurit...etc. Thus the need to preserve what our old folks been practicing for generations, those traditional/indigenous technologies to cultivate and prepare food. So value what our old folks have and keep them alive! Thanks Elenoa for the space to share our thoughts. WE DO IT FOR A CAUSE IN AGRICULTURE!